Paul was great! 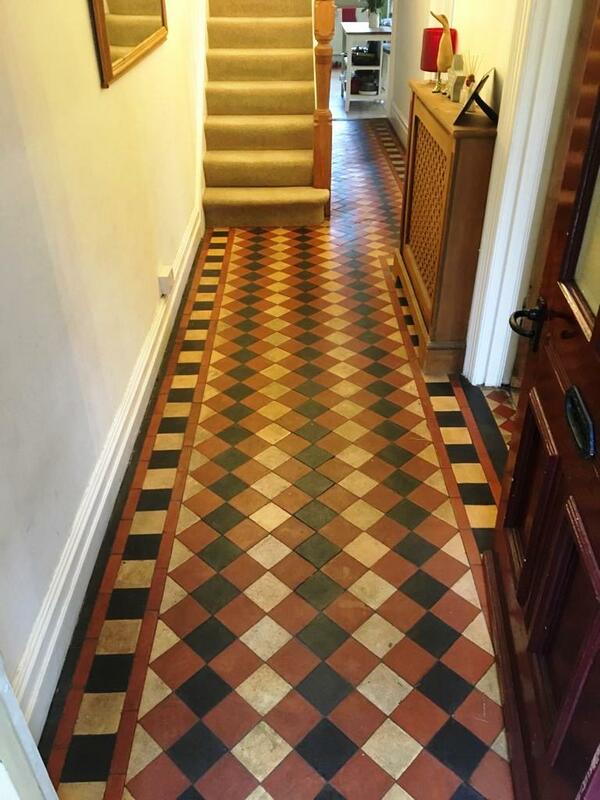 Flexible and easy to get hold of and my hallway floor looks so good, I’m so happy with the results. Thank you! Paul responded to our initial enquiry promptly, and provided a quote from photographs we sent of the area and an on-site visit shortly afterwards. He attended on time, and left the area clean and tidy once the work was completed. 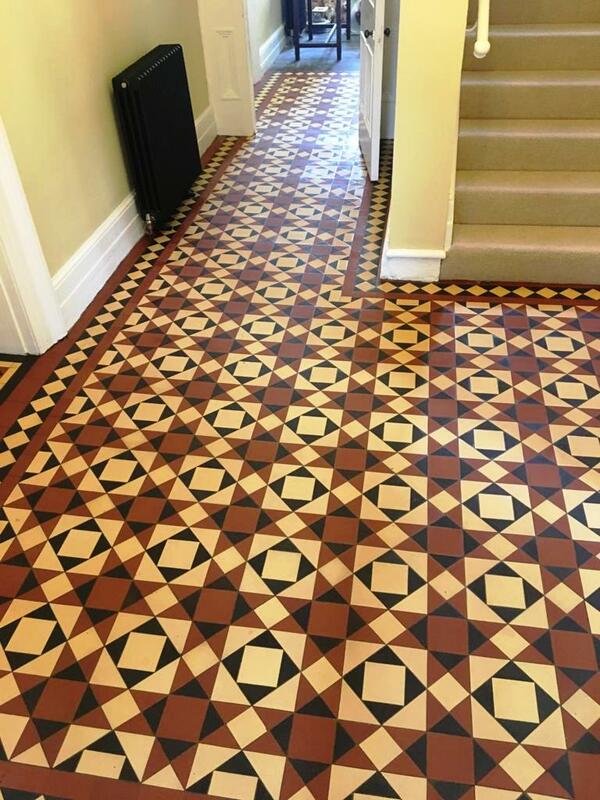 We were very happy with the work that was completed. Paul was friendly, professional and knowledgeable. Paul worked incredibly hard to ensure that we were pleased with the end result. He was a pleasure to have in our home and would recommend him to others. Absolutely fantastic and would highly recommend. Paul went above and beyond and kept me informed along the way. I was unable to have the satin finish due to salts but still looks great. Paul made every effort to ensure a good finish. Fell in love with the victorian milton tiles all over again. 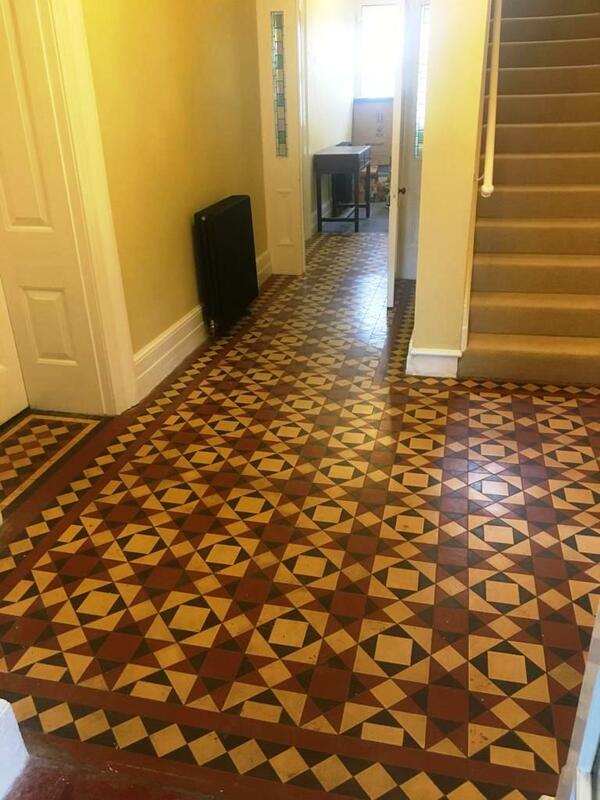 Paul was punctual, helpful and also happy to suggest, discuss and agree the best options for cleaning our Victorian tiled floor. 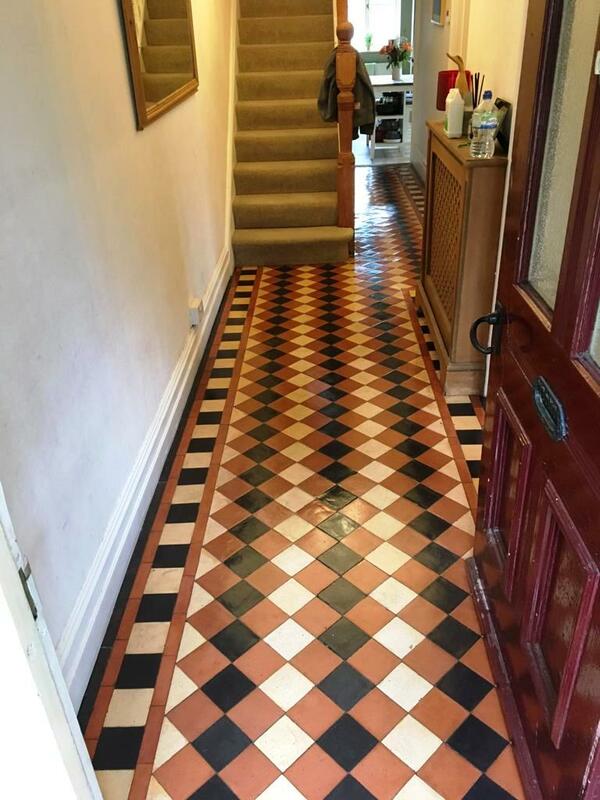 He was very neat and efficient in his work and we are very pleased with the outcome!